A Victorian experience not to be missed. 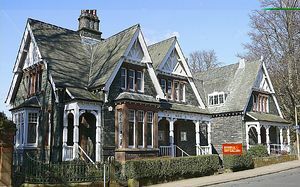 Keswick's surprising past, from industrial mining centre to peaceful tourist town, is revealed in this fine example of a late Victorian Museum. Set in the beautiful Fitz Park, the collections cover local and natural history, famous inhabitants and visitors, including the Lake Poets, and houses the work of many artists who have been captivated by the local landscape and history. Marvel at Flintoft's amazing 4m Scale Model of the Lake District. Special events and exhibitions throughout the season. For more information please visit the museum's website.All Galleries are wheelchair accessible, stepped and ramped entrances.